When I started working out at my local Crossfit Box over 5 years ago, I never dreamed that I would participate in any type of competition as a 50+ Masters Crossfit Competitor. I just wanted to get in shape for my daughter’s wedding and saw on Facebook that a couple of my old college friends were doing it. It looked like a tough “boot camp” type experience and since I wanted to look good for the wedding, I signed up. And obviously, I’m not too old because I DID IT! That is awesome!!! I have thought about trying Crossfit but have talked myself out of it because it looks so hard. You’re showing me the way to cut out all the negative talk! I did start taking ballroom lessons & I am getting ready for my 3rd competition – it is great. Next week I am going to try belly dancing lessons and I promise I will not trash talk my own efforts! 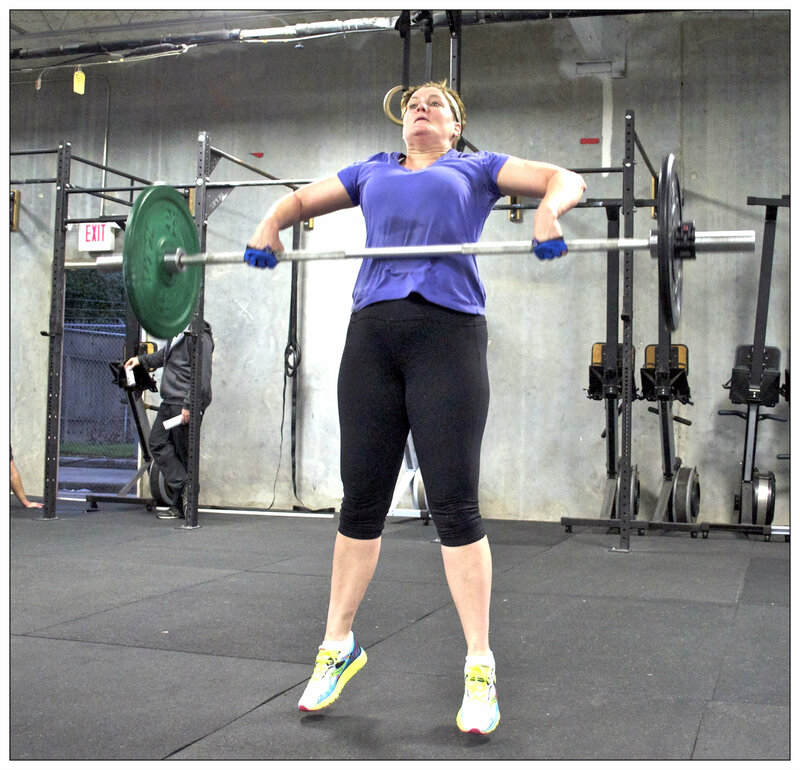 I’ve just scheduled an initial assessment with Crossfit St. Charles! Thanks for the inspiration – hope I will just like you five years from now but right now I am just nervous! Yea! I am taking a little break from Crossfit after 5 1/2 years. I hope you love it as much as I do! Let me know how it goes, Janice! Great work doing what is right for your healthy lifestyle and kicking negative talk to the curb! Very great post! I love the lessons you explain here and I am so impressed you have done some competitions! My husband is trying some for the first time soon! 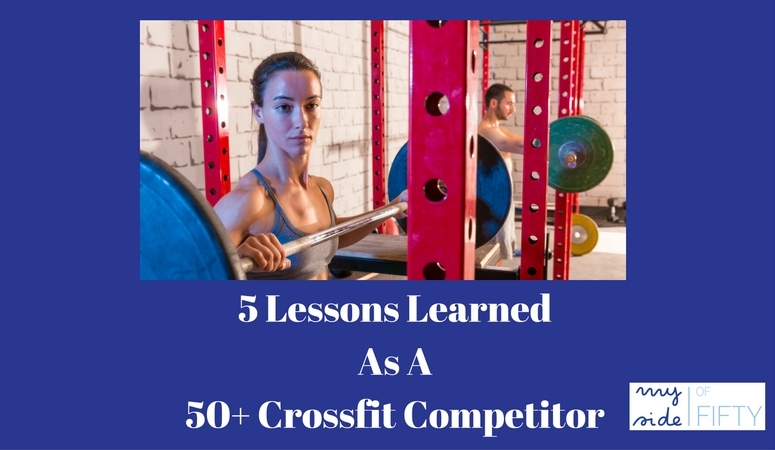 I actually just wrote a similar post on what I learned from crossfit if you’d like to check it out! Just read & commented on you CF post. Sounds like we are on sort of a similar health journey 30 years apart. Congratulations on completing the Crossfit challenge. I have never done crossfit but I workout every day at home with dvd’s – have for over 10 years. Enjoyed reading your post – hope that I will still be fit and active as I am now when I get to 50 and beyond. Thanks for reading and commenting, Kimberlee! I’m on the other side of 50 too. I’ve been too afraid of injury to try crossfit, and even went from crazy body attack classes at my gym to Jazzercise because of injury. I commend you for doing this. Looking forward to your future adventures this side of 50. Thanks! Crossfit is fun, but you definitely need a coach who knows what they are going. I am blessed with a good one who challenges us, but doesn’t let us do stuff where we risk injury. Looking forward to more adventures to come. Thanks for reading and commenting! Wow, this is a very inspirational story! 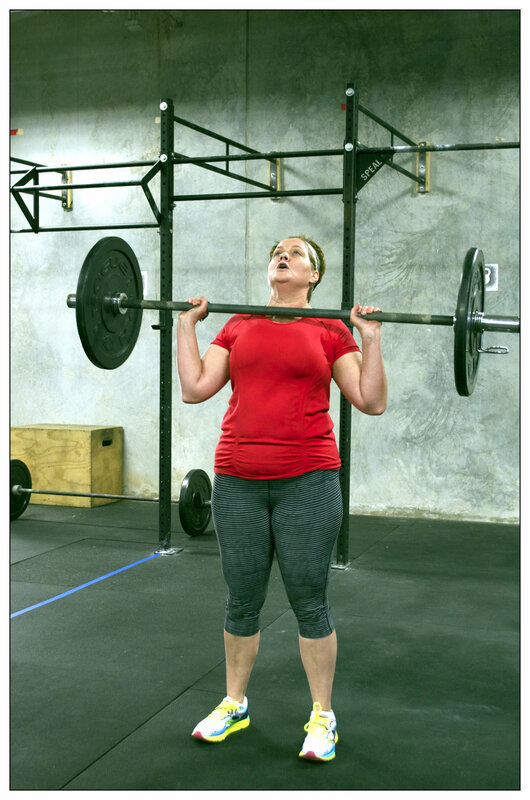 Love that you are embracing life on the other side of 50 and that you have embraced CrossFit! Not any easy to do! My daughter is involved with Crossfit and even broke her humerus performing a muscle-up 6 years ago. Good for you! Thank you, Terri! I know you can appreciate it! Your story and feelings reminded me so much of me! I envy you. I could never have yor energy and commitment. Great work. Pinned and shared. Thanks for linking up at #overthemoon! I hope to see you also at #thursdayfavoritethings. Marilyn – no one is more shocked than me. I was the girl who hated PE & didn’t like to sweat. My sister was EXTREMELY athletic! 🙂 Thanks for reading and commenting! Kim – Agree with everything you said. And I, like you, am blessed with the most wonderful group of cheerleaders of all ages at Crossfit Silverback. Thanks for reading and for commenting! Congrats! This post is so inspiring and a great reminder that your body is capable of incredible things no matter what age it is! Trying new things despite negative self talk is the way to live a full life, for sure. Thanks for this great post. Lisa – thanks for reading and commenting! We are definitely on the same page! I started training Muay Thai Kickboxing shortly after I turned 43. This past fall I tested for and earned my 3rd black level prajioud (black belt) and I’m 52. Here’s to being fit and fab after 50! Awesome Peggy! I feel like I am in better shape now than I was 20 years ago! Keep up the good work! Awesome! I totally cheer you on. I have wanted to try crossfit but I will admit I am a bit intimidated by it. I know of a gym in the next town over that does it, I will have to check if there is a gym here in my town. Thanks so much for linking up this motivating post to Fitness Friday on Drops of Learning. I can’t wait to see what you share tomorrow. Miranda – check out a box close to you and give it a try. Everything is scaled to a person’s ability level. It’s not like you see on The Crossfit Games on TV! 🙂 Most Boxes have great coaches and a really supportive environment. That’s why I’ve stuck around so long. Thanks for reading and commenting! Thank you, I think I will give it a try soon! This looks so good! I have never tried crossfit but it is definitely something I want to try! what a great inspiration too, and well done for overcoming your fears! Charlotte – give it a try. You’ll enjoy the challenge and the wonderful, encouraging community that is part of Crossfit. Thanks for reading and commenting! Congratulations on completing the competition! I haven’t ever done crossfit, all I’ve done is lift some weights to tone up. My challenge is finding the time now to start back up. Looks like a great way to get in shape and start living a healthier lifestyle. It is – can’t believe I stuck with it for 5 years. I really like lifting the weights, much to my surprise. Thanks for reading and commenting, Linda! Amazing post and I’m so impressed! What a great inspiration you are and thank you for sharing your story. Thanks for reading and commenting, Carrie! I want to try Crossfit so badly! My husband and I went to the Crossfit games a few years ago, and since then, I have been dying to try it. It’s not in the budget at the moment, but as soon as it is, I cannot wait! I love how Crossfit seems to be the only sport where the person that finishes last gets way more applause and encouragement than the ones that finish first. That kind of community feeling is really inspiring. Kudos to you for getting in there and getting it done. Jessica – yes, CF can be a bit pricey. But you are right, the community is unbeatable. I love the people I work out with and go to see them and be encouraged, even though the workouts are tough. Hope you get to try it someday. Thanks for reading and commenting! Thanks, Nicole! I appreciate you reading the post and commenting! This is amazing. Your willpower and desire to do this. I have a friend who does Crossfit and she has worked so hard at it. It isn’t for the faint of heart. Thanks for linking with me this week. It’s kind of addicting…and I’ve made so many wonderful friends at my Box. I’d miss them if I didn’t go. Such a wonderful, encouraging environment. Thanks for reading and commenting, Michelle! This is so great! Good for you for overcoming your fears and doing it! I’ve never tried crossfit, but I do admire those that push themselves and compete. Thanks for sharing at the Blogger’s Pit Stop. Goes to show, you can do a lot more than you think sometimes! Thanks for reading and commenting, Debbie! I enjoy your blog! Good for you Cathy! It sends positive vibes to anyone second guessing themselves to pursue their dreams of just getting healthy for themselves. Glad you connected with it Carol. Thanks for reading and commenting! Thanks, Gina! I agree – you SHOULD go for it! It will be fun. Thanks for reading & commenting! 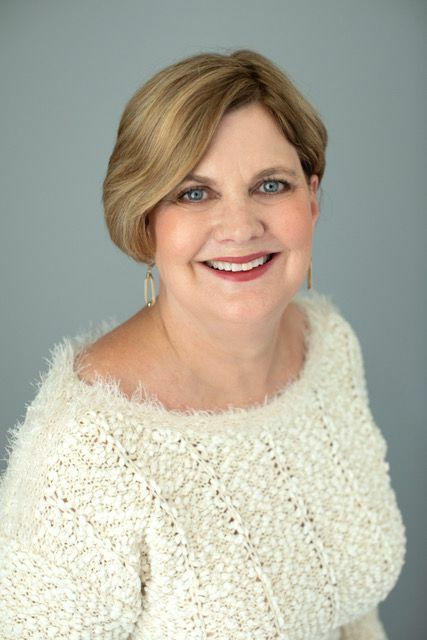 Cathy, you are such an inspiration I love that you told the whole story which inspires me more than just saying “I did it.” We all have fears when starting something new but most of us let those fears stop us from trying. I love that not only did you try you fought down your fears and you succeeded kudos to you can’t wait to see more. Thanks, Nikki! I so appreciate your kind words and encouragement. I love this! 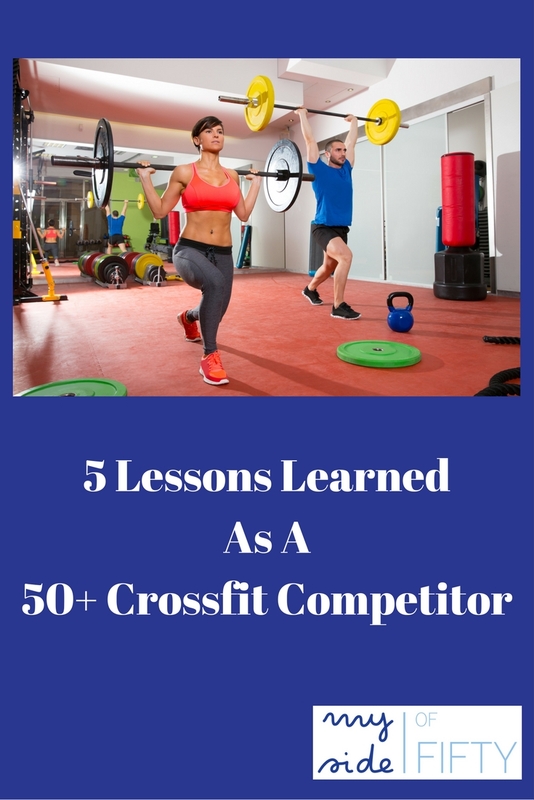 I have never done Crossfit and have been a bit curious if it is something I would enjoy, but have been a bit afraid of it 🙂 Thank you for sharing this at the Sunday Fitness & Food Link-up. I may have to hit a Crossfit class this week!! Angela – It’s definitely worth a try! If you go to a good Box with good coaches, there’s nothing to be afraid of. Everything is scaled to your age & ability level. And most Boxes have a great community. That’s what keeps me going! YAY! I loved reading this awesome post! You are such an inspiration! Thanks, Sally! couldn’t have done it without you! Thanks for including this post on MMM! That is AMAZING! You really are fit and I am impressed w/ your dedication. It’s not easy to do Crossfit! I’m totally impressed that you went for it and got out of your comfort zone. I’m sticking to walking and disco dancing. I’d say writing a book would be a challenge I want to overcome. It felt really good to challenge myself and stick to my goal, even though I almost chickened out. We can do more than we think! Inspiring. LOVE the photos. “It is not dumb to try something that challenges you.” Amen, sister. Wow congrats! What a great accomplishment. You look fantastic! Good for you Cathy! I started running at 50 and ran my first full marathon at 55. My friend is in her 40s does crossfit but I stick mainly to PT sessions and running. As long as we try that is the main thing and not let negativity from others or ourselves hold us back. Life is way too short. Well done! It’s important to move and challenge yourself in a way that you enjoy. I work out with great people at my Crossfit box. Glad I found something I like to do! You are so inspiring! I need to start… tomorrow. Today is my birthday and it is late evening. So I’m starting my 60th year as I turned 59 and it is time to get serious about saving what is left of my fitness… and I have a daughter’s wedding coming up. Wow! That is so impressive – and inspiring. I’ve never tried Crossfit but you’ve definitely made me think about it. At this stage in our lives, we really shouldn’t care what anyone thinks any more and should just go for our dreams. Lois – it’s never too late. Challenging for sure, but it gets you in great shape! I’m actually on the other side of 60 and I know that I really need to start doing something to get more active. Your story is inspiring! I think I’ll start with nice walks and see where it progresses! I love this!! Great job. I work out but not CrossFit. #Bloggerspitstop. So thankful you shared. Working out is so good for you, keep going! This is so impressive, Cathy!! It really is good to try new things!! Cathy Super impressed with this post and your passion to get the job done. I need your motivation skills. I need to cut out the negative and just get back in the gym..Thank you for this!!! Kerstin – I am so proud of you for doing this. You will be so proud of yourself for having the courage to compete and finish. And just think how far you’ve come on your fitness journey. I, too, had a period of extreme stress with my parents both got sick and dies within 7 months of each other in 2015. Getting to Crossfit in the afternoons is one way I kept my sanity during that intense period of caregiving. I so glad your son is in remission. I hope you’ll write back and tell me how the competition went.